Vicious winds whipped dark clouds of dust around the peaks of Bárðarbunga, the largest volcanic system in Iceland. The strong gusts prevented three men in a helicopter from choking on sulfur dioxide emanating from a fissure in the throes of an eruption that would span from late August 2014 into February 2015. While the pilot scouted for a safe spot to land, photographer and naturalist Feodor Pitcairn hung out of the chopper by the straps of a harness, focusing a Hasselblad camera on the gushing geysers and crawling rivers of lava beneath him. He was witnessing the birth of a new landscape. The expedition, which took place in early September of last year, was just one of many adventures Pitcairn has had in Iceland. Since he first visited the country in 2011, he’s logged eight trips and many thousands of miles to capture vistas of black beaches, glacial rivers, and cold deserts on camera. Iceland is “a real diamond of diversity,” he says. Iceland is a manifestation of plate tectonic activity along a 10,000-mile underwater mountain range called the Mid-Atlantic Ridge. 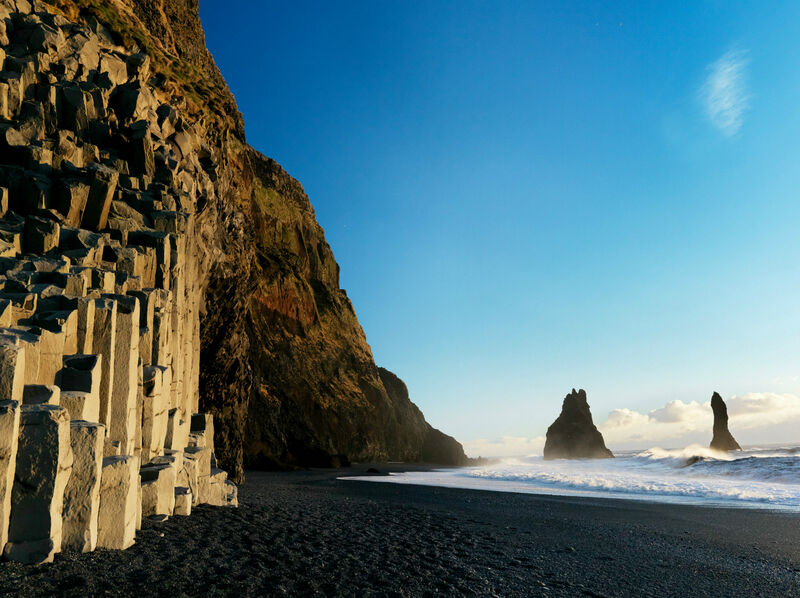 The island, which is about the size of the state of Kentucky, is only 15-20 million years old, making it one of the youngest landmasses of its size in the world, according to Ari Trausti Guðmundsson, a geophysicist, poet, and former Iceland presidential candidate. The Mid-Atlantic Ridge gives rise to Iceland’s volcanoes, one of its signature geological features. The country boasts 30 volcanic systems, which contain hundreds of active volcanoes. 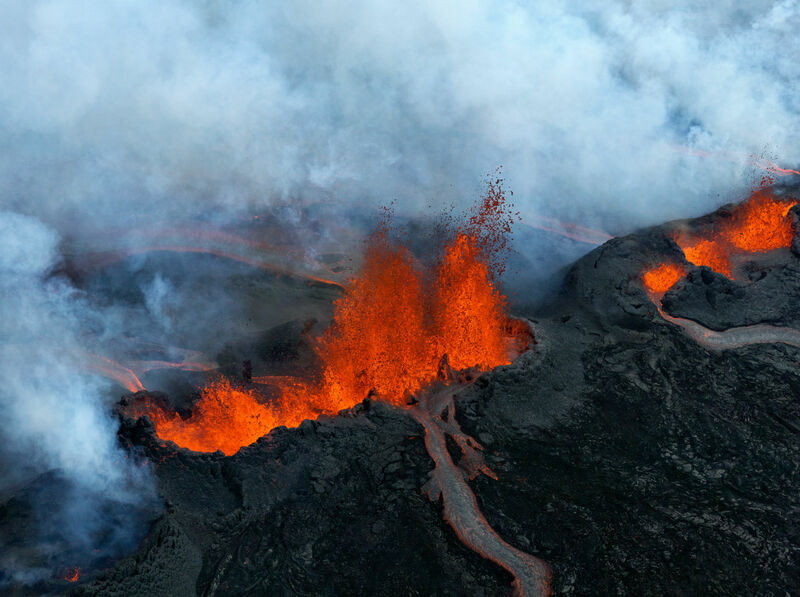 The natural upwelling of magma from beneath the ridge, as well as a mantle plume located almost right under the middle of the country, send billions of tons of lava surging through the bedrock annually, causing the country to expand about one inch per year, on average, according to Guðmundsson. 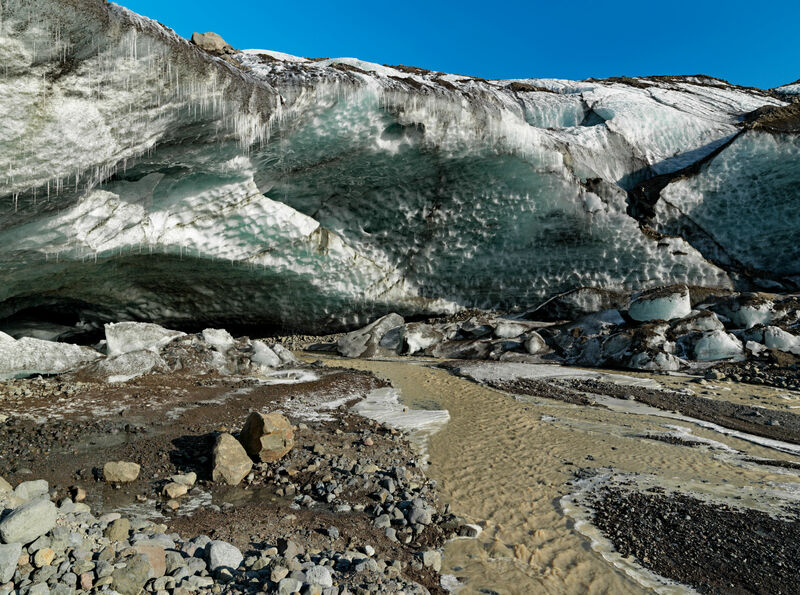 Iceland’s glacial past dates back around 3 million years, to the beginning of the current ice age, according to Guðmundsson. Since then, the island has experienced about 20 glacial periods that ensconced most of the country in ice. During warmer periods, melting glaciers carved fjords, valleys, and canyons, and created rivers that eventually dried into rocky deserts. 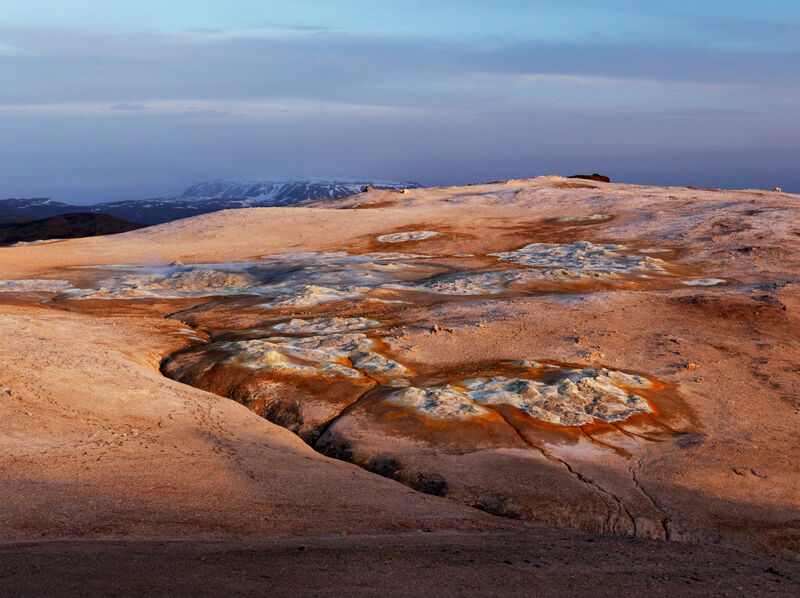 “These empty spaces and vast mountains remind people of something alien, something out of this world,” says Guðmundsson. 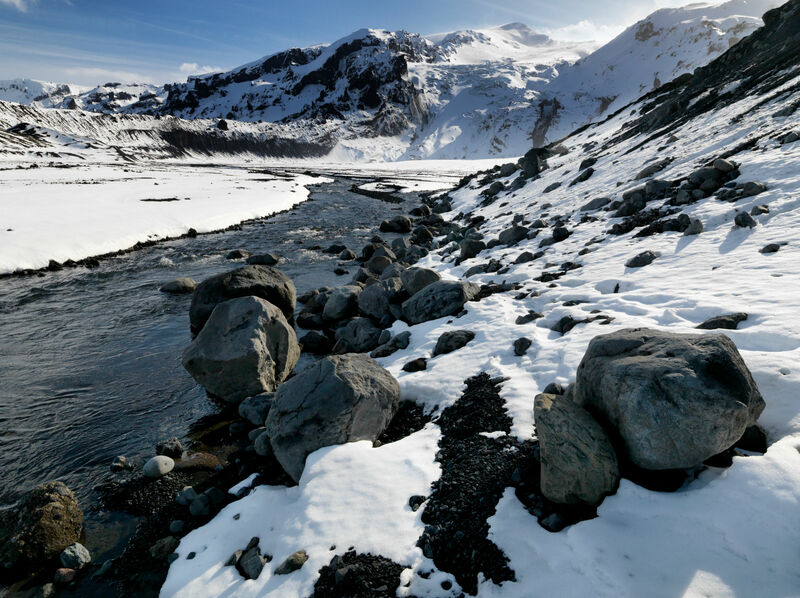 Indeed, Iceland’s otherworldly terrain has been a believable backdrop in multiple science fiction movies, such as Star Trek: Into Darkness and Interstellar. Its deserts have also served as geological training grounds for astronauts and rovers. 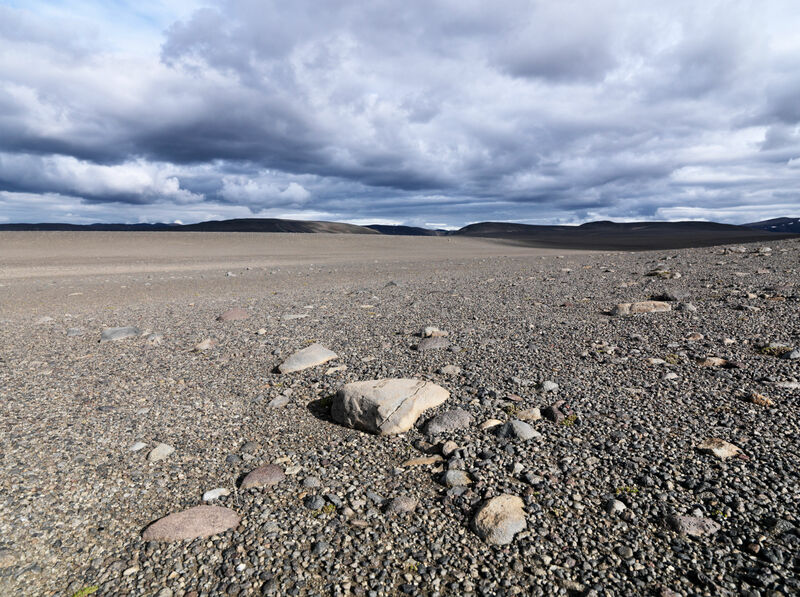 The terrain—speckled with cold, round stones and bereft of vegetation—is reminiscent of the surface of Mars or the moon, and provides a suitable environment for astronauts to test their equipment. 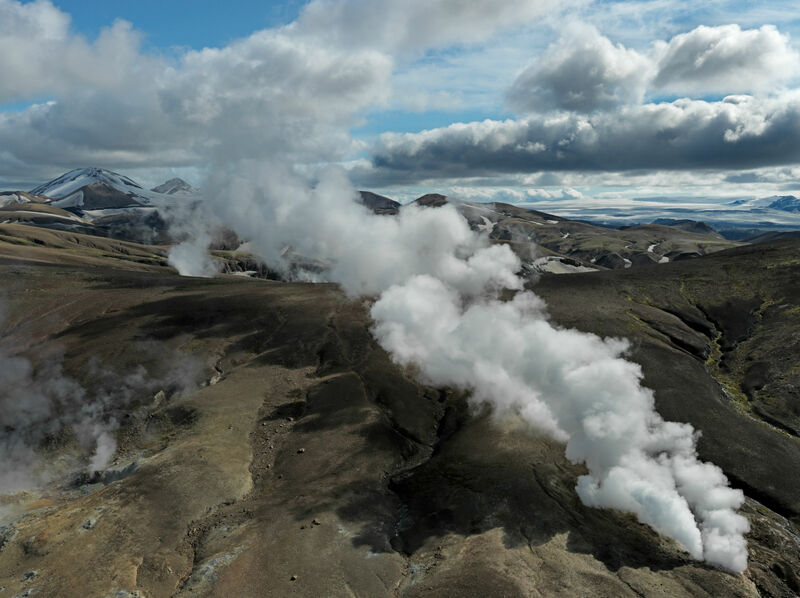 The geophysical processes that shape Iceland’s terrain are valuable renewable energy sources, too, enabling the country to run entirely on green energy. 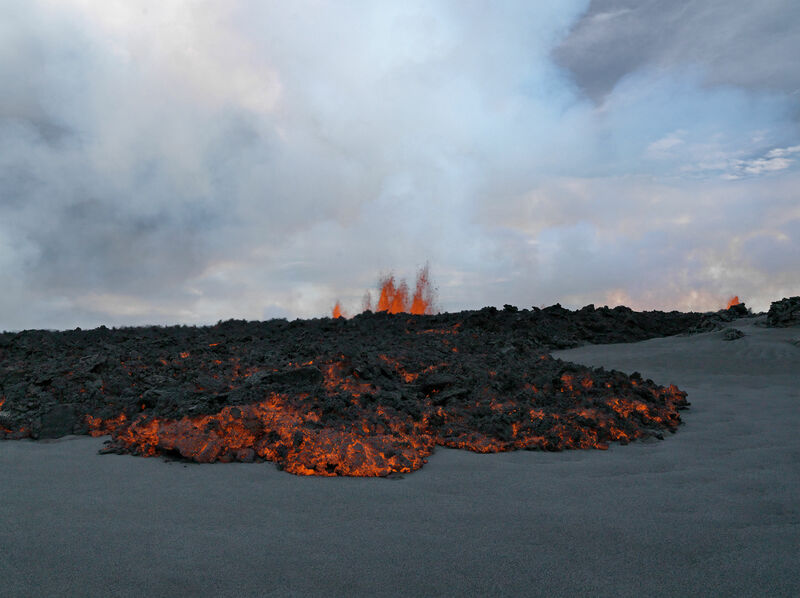 When rainwater seeps into the volcanic bedrock, it heats up, turning into steam that puffs through geothermal vents. Engineers drill wells to harness that steam in order to generate domestic heating for the entire population. Additionally, glacial rivers power hydropower plants, which contribute 75 percent of the country’s electricity, with the rest coming from geothermal energy. Forty years ago, artist Rick Guidice teamed up with NASA scientists to envision the space civilizations of the future.